Meagan Berry has spent the last few months lying to stay hidden. She might end up dead otherwise. Officer Hunter Kingston has a lot of practice dealing with people lying. His job depends on him being able to figure out when someone isn't being truthful. When Meagan's house is broken into, Hunter knows he needs to get to the bottom of what's really going on. Will they be able to trust each other in order to live to see another day? 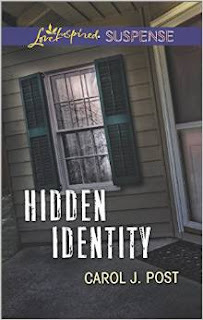 "Hidden Identity" by Carol J. Post is the 2nd in the Cedar Keys Series. I have not read the first one (or the novella that also is set in Cedar Key) but didn't feel left out of the story or as if I was coming in the middle of the story as it is a stand alone story with mentions of the characters from the others books. I really liked Meagan and Hunter. They are realistic and believable. The mystery kept me guessing as to what was going on which is nice. There were many twists and turns to get to the end of the plot. I haven't read that many mystery/suspense stories, but I think I will have to be getting some more. I would recommend this book enthusiastically. I was gifted a paperback copy of this book by the author in exchange for my honest review. A positive review was not required and all opinions are my own. 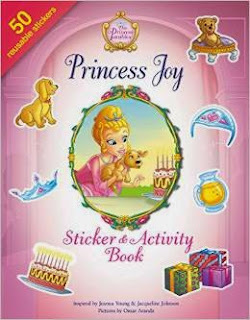 Book Review: "Princess Joy Sticker & Activity Book"
"Princess Joy Sticker & Activity Book" follows Princess Joy and her pet Rosebud the Puppy as they get ready for her birthday party. There are 16 pages of activities including: maze, coloring, word search, spot the differences, color by number, and others as well as 2 sheets of reusable stickers. The stickers stick to any of the pages and are easily removable and then restick to another place. 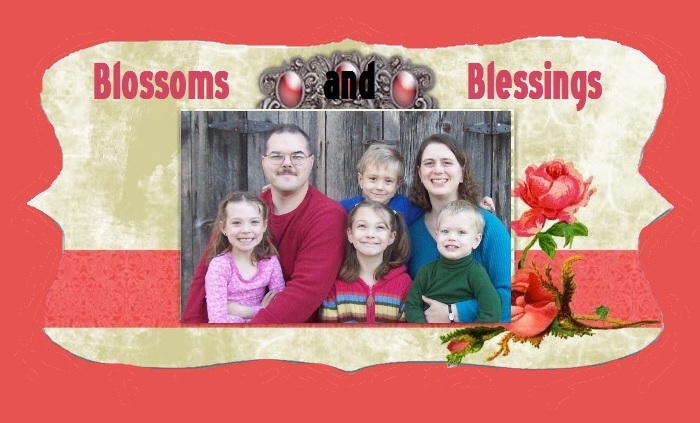 While this book is published by Zonderkidz, there was no spiritual content in this activity book. There is a series of books about these sister Princesses called The Princess Parables, but I have not seen or read any of them. 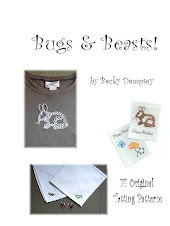 This activity book has nice pictures and a variety of activities to appeal to children in the 4-8 year range. I would recommend it. I received a free copy of this book from Zonderkidz' zblogsquad in exchange for my honest review. All opinions are my own. 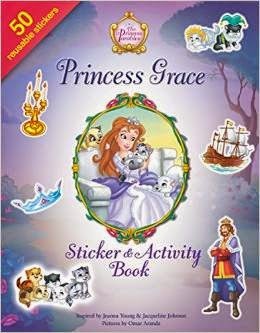 Book Review: "Princess Grace Sticker & Activity Book"
"Princess Grace Sticker & Activity Book" follows Princess Grace and her search for the missing kitten Poppy. There are 16 pages of activities including: maze, coloring, word search, spot the differences, color by number, and others as well as 2 sheets of reusable stickers. The stickers stick to any of the pages and are easily removable and then restick to another place. 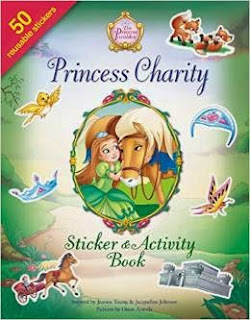 Book Review: "Princess Charity Sticker & Activity Book"
"Princess Charity Sticker & Activity Book" follows Princess Charity and her pet Daisy Horse and their adventures around the kingdom. There are 16 pages of activities including: maze, coloring, word search, spot the differences, color by number, and others as well as 2 sheets of reusable stickers. The stickers stick to any of the pages and are easily removable and then restick to another place. 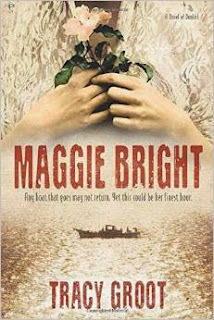 Set in May 1940, "Maggie Bright" by Tracy Groot is essentially the story about two groups. The first group revolves around the yacht "Maggie Bright". The second group is a group of soldiers trying to make their way to Dunkirk when the Nazis surrounded the British Expeditionary Force. Clare Childs recently inherited the 52' yacht "Maggie Bright". She plans to one day circumnavigate the globe, but that will have to wait when a stranger comes aboard looking for a packet of information. When she gets involved in a Scotland Yard investigation involving those same documents, her life will never be the same. Jamie Elliot has been given the task of getting an injured Captain home. Along the way, they join up with some other soldiers also making their way to Dunkirk. It took quite a while to get into the book. With all the different characters and their own unique way of communicating, it was sort of choppy at first. Once I knew what was going on with the packet of documents, and the characters started coming together, it flowed much better for me. I haven't read any of Tracy Groot's other books, either, so I wasn't familiar with her voice. Added to that is the fact that this book is historical fiction and I generally read romances. This book has a bit of romance and a bit of mystery, but primarily it is historical. It made me want to learn more about the historical events that take place during the book (which I happened to be reading on the 75th anniversary of, which I thought was really interesting). I'm glad that I didn't give up on the book and kept reading! I was given a hardcover edition by Tyndale in exchange for my honest review. All opinions are my own and a positive review was not required. The special number singers *would* have to stand right in our view of Emi! Emily's class had a field trip to our county's community college. They were going to swim in the pool and tour the Heritage Village. It was unfortunately cold and rainy, so we did the swimming part and then went back to the classroom for a movie instead. We got another letter from the school saying that Will hadn't passed the hearing test. Since he had a well child check up coming up, I brought the results with to show him. The doctor said that since Will had already been a patient of the ENT's, we didn't need a referral. Will did have Strep Throat, though, so we got amoxicillin for that. He had just finished the course of amoxicillin when we saw the ENT and he said that Will's throat was still looking red and his ears had fluid. So he put him on a different combo antibiotic for 20 days. 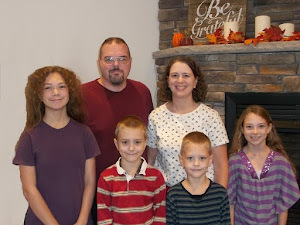 After the return visit, Will was scheduled to get tubes put in as the fluid was still there. William did A LOT better this time than the last time he had tubes put in. He talked with everyone who came in (nurses, doctor, etc). Every year, I take pictures of the flowers around the house. I always think, "There isn't really anything different about them than last year." but I take them anyway! Book Review: "A Horse for Kate"